Argh, I am really struggling with writing. I have several projects already started. And I have impeding deadlines. And I like what I am should be writing about. But, still, I am struggling to get back into the mood and the rhythm of writing, after a 2 weeks’ break. I am stuck. Last night, I asked @WomenWriters for tips. Wow, what a great community. The responses came fast and creative, and I am already trying some of them. Here is a summary, in case you, too, are struggling with writing / getting back to writing. It may not surprise you to hear that some of the advice was to write. Just do it. So simple, yet so true. Less easy (for me) is the suggestion to write about why I am struggling to write. In my mind, it feels like an indulgence to dwell on why I am not doing something that I ought to be doing. But I know that it is a really important thing to do – I did it about one year ago and it helped me distinguish between the real barriers (e.g., my teaching load) and the emotional ones. Also, when I compared my list with others’, it showed me that what I was going through was perfectly normal, indeed. Another suggestion was to write about something I would not want others to read. This suggestion reminded me of an exercise we used to do in art classes whereby we focused not on the object that we were trying to draw, but on the shapes and spaces around that object. So, for instance, instead of noticing that the model had a hand on her hip, and trying to copy that, we would focus on the triangular shape of empty space between her arm and her torso. It actually felt less daunting to draw that way, than to reproduce the complex shape that is a human body. Maybe the same applies to writing. And, because the path to writing goes through reading, some suggested that if I can not write, then I should read. This suggestion is both good and dangerous. I have learned a lot from reading other people’s writing – I pick up ideas regarding style and vocabulary, and I learn about new references or emerging issues (something fundamental in academic writing). And that is good. But it is also dangerous because I can get lost in what I am reading and not notice the time flying past. I definitely need a timer by my side when I sit down to ‘just read’. Another danger is that I may confuse being busy (reading) with being productive (writing). A compromise here may be the suggestion that I should read something that I wrote, previously. The benefits of this approach are to reconnect with my topic and style of writing, in general, and to recall what I was working on, specifically. In addition to the great tips regarding what to do, there were some really good ones regarding how to do it. Some comments focused on the time dimension, both in terms of writing quickly, and in terms of writing for a short period of time. Writing quickly means that you do not self-censor and, thus, it improves your ability to capture your ideas. This tip reminded me of another exercise from art class, when we would quickly capture the rough shapes that we saw, to start with. Just for a couple of minutes, each time. Through successive iterations, the rough shape would start to acquire definition and, later, detail, like a boat emerging from the fog. As for writing for a short period of time, only, it works because it is not daunting. As explained by a prolific academic writer at an event that I attended recently, anyone can live through 15 minutes of writing, even in the busiest or the least inspired of days. Many times, 15 minutes is all we will write. Other times, the 15 minutes lead onto 15 more, and more and more, until we have clocked in a couple of hours of writing, though we would never have mustered the energy to sit down for 2 hours of writing. Another interesting suggestion was to start writing in the middle. This particular tip seemed weird to me, at the beginning. But the more I think of it, the more sense it makes. The middle is the core of what I want to say. Surely, I can describe what data I collected and how, even in the least inspired of days. And what do you think of the suggestion of writing with my left hand? At a rational level, I don’t see how it can help. But it reminded me of primary school (when I spent hours practicing left-hand writing because I was worried I might break my right hand or arm and be unable to keep up with school work). And that made me giggle, and suddenly I was feeling much better about writing. That has to be good 🙂 Plus, it means writing by hand and I like that idea. I have grown really tired of screens, and I am rediscovering the pleasures of reading and writing on paper. And, finally, the advice provided by @WomenWriters itself was to write a journal in the 3rd person: “I tend to write journal in 3rd person, then during the day I keep ”looking” at experiences like that too… and already begin to ”write” sentences in my head ”she thought…”. I have been thinking about how I could use this advice to write my paper and I think that the key (for me) is to depersonalise the narrative. It is not about what I need to say, but about what somebody else is trying to do, or think or say. And I, for one, can be kinder with somebody else’s limitations than my own. I will give this one a try, too. 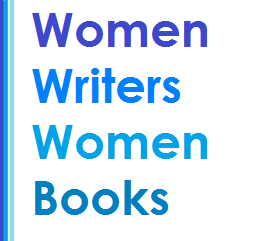 I am really grateful to the @WomenWriters’ community for such great advice. What are your tips for getting back into writing after a break? Next Next post: Here we go, again. The sales! Oh, some very interesting and good tips, here. If you’re absolutely stuck, I would go outside. For a walk, a run, a bike ride. Something to first clear your head, and then start thinking about the topic you need to write about and what you want to tell people about it. When I was doing my poetry project last year, many, if not most, of the poems were initially ‘written’ in my head while walking the dog. Be sure to take something with you to record notes when you’re ready. I often used an app on my smartphone (I love Evernote for that, because you have it available to copy from your pc/laptop – GoogleDocs will probably also work). This is an fantastic posts; you really do a great job of laying out each of these tools.